The Circuit de Catalunya is a formula one racing circuit in Montmeló and is situated to the north of Barcelona in Spain. On the 3rd of October in 1986, the Parliament of Catalunya approved a proposition for the possible creation of a new permanent racing circuit. Finally, on 10th September 1991, the Circuit of Catalunya hosted its first official race the Spanish Touring Championship (the winner being the former F1 driver Luis Perez Sala). It wasn't until 29th September 1991 that the 35th Formula One Spanish Grand Prix took place here, after 16 years of absence in Catalunya. 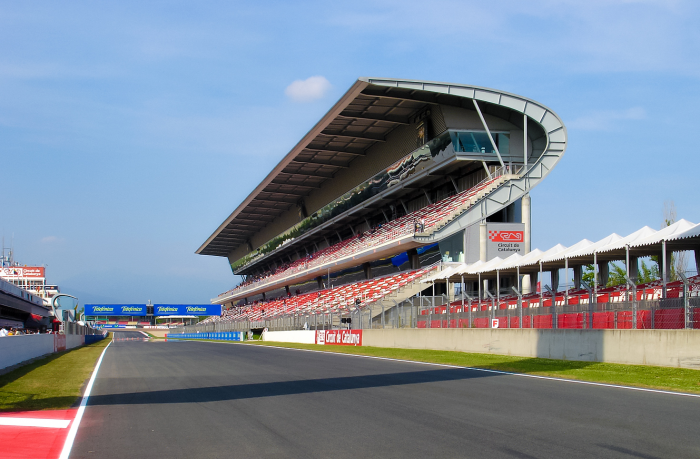 There are also organised guided tours of the Circuit of Catalunya in which you can visit the facilities within. You will learn how races are organised, how they are controlled, how the mechanics work, and access some of the usually restricted areas. There are also chances to drive a Ferrari, Porsche, or Lamborghini around the circuit.